In the wake of global warming, multiple renewable energy sources are being popularized. Namely, these consist of wind and solar. 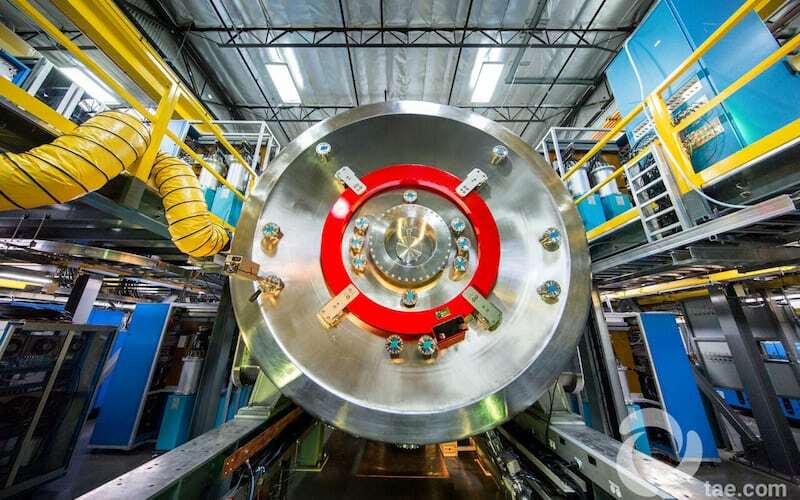 However, there is one that has promise but is rarely talked about: fusion energy. With the potential to sustainably provide for the world’s growing power needs, fusion energy is on the cusp of becoming a reality. But, with so much uncertainty and years without clear tangible results, many people have lost faith in the technology. Some are even afraid of it, citing nuclear reactor meltdowns. However, Michl Binderbauer, CEO of TAE Technologies, believes we are within a decade of sustainable fusion energy. In the third part of our fusion energy series, Binderbauer explains the progress that this technology has made and why more people should be paying attention to it. Innovation & Tech Today: Why aren’t there more people talking about fusion energy? Michl Binderbauer: I believe that it’s, of course, associated with a very hard problem. And the fact is that people have been promising this, I mean, back since the 50s roughly. When the hydrogen bomb became a success, it brought a lot of euphoria that it would only take a few years to create a civilian version of that for generation of power and turn fusion into this energy source. And that success has escaped us so far. I have a bunch of dear friends who are now at the sunset of their careers and lives and they joined early on in the 50s and 60s … For instance, one of the sites where they really worked on this was then called Project Matterhorn, and these guys didn’t even relocate their families. They were thinking they were going to go there for six to nine months to solve this problem post hydrogen bomb. Well, that didn’t happen and it became full-time careers and lifetimes consumed. So what I think the public doesn’t understand are these details. But it’s a standard joke: fusion’s always 30 years away and it always will be. I think that’s perhaps part of why the public thinks that it’d be great, but it’s relegated to the fusion tropes of the Starship Enterprise or something, a science-fiction novel. I think what’s different though, and what’s important, is that we have really made incredible progress. And the testament to that is the private sector engaging. If you look at the history of this field, it was predominantly driven by large, publicly funded national projects. Why is the private sector now engaging? The private sector tends to engage investors and private entrepreneurs when they sense potential and something becoming reality. And I think if nothing but that, it’s a real testament to the fact that our outlook and our potential to harness this power source is really changing. And I think we’re getting close. I can tell you our own story – we think we can have a commercial power plant beginning to send electrons to the grid within a decade or so. That’s not 30 years away. And the research we’ve been doing the last 20 some years … I started in this in the early 90s in university as a student, together with my brilliant mentor, Norman Rostoker – who really deserves 99.999 percent of all the credit here. He’s the grandfather behind all the ideas. We took this out to the universities, started this company together with some really brilliant minds, and all this was possible because people began to appreciate the potential. And, I think there was an awakening. Yes, the average person doesn’t yet see that or appreciate that, and clearly, of course, what’s available today is solar, wind, and not a fusion power plant, but we’re not far away anymore. We really aren’t. I think it’s important that the public doesn’t get an over-hyped version of this happening tomorrow, that there’s still risk, of course, but we’re closer than ever before. When you look at what is confluencing today to make this happen, it’s pretty logical stuff. First of all, we’ve spent 50 years of some of the smartest minds on the planet researching the science behind it. So we really understand infinitely more than we did 50 years ago. In fact we understand exactly what we need to do and we understand what it takes to do it. Now, engineering and technology have also caught up. We can build modern magnets. We can use superconducting systems. We can use super computing capability that didn’t exist, that we cross literally every year, every six months. Artificial intelligence, for instance, we are a big user and developer of those kinds of things. You may have read that we have this vibrant relationship with Google working on these things. All of these things come together at the right time and the right place now. One of the things we have in the lab now and the teams use every day wouldn’t have been possible five years ago. And so, while it still seems a bit utopian, perhaps to some people who are uninitiated, for those of us who do this now on a daily basis, we can see the light at the end of the tunnel. I think it’s important that the public understand – again not in a hyped way, but in a measured but sort of forward looking, positive way – the idea that yes, in 10 to 15 years, this will enter the mix of generation assets. When you look at it that way, then you can see that there’s a great fit for these things. If I look at a grade, I think upon a hundred years down or even 50 years down or less, you would see, in my opinion, a grade that is dominated by sources that are renewable on one side where it fits, and hopefully, even more dominantly, by fusion to deliver this high power density, on demand or always on capability for the base load power. And I think that’s really, really exciting for me, and we’re getting to this. And we’re accelerating faster every day and getting closer. Previous article How has Technology Changed CFD Trading?